Extreme heat and cold, high pressure load and complex high-tech. The demands placed on contour etched parts by the aerospace industry are enormous. Herz has reasonably priced and reliable solutions to meet these challenges. For example, with complex individual parts for satellites which we produce extremely economically. 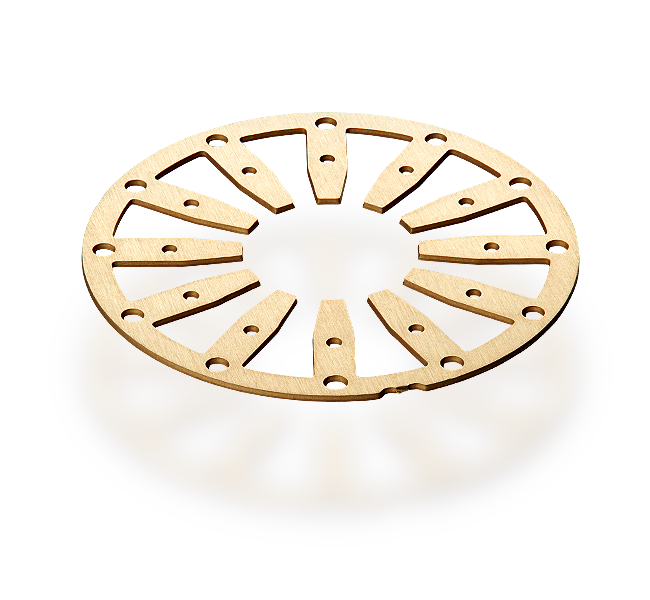 Or with etched parts from high-strength metals that can effortlessly withstand the strong temperature fluctuations and mechanical stress. Weight-saving equipment in the aerospace industry is one of the most important parameters. This is where etching technology comes into its own. With cable runs in critical areas, you should not be able to detect any burrs even under a microscope. This is where etching technology from Herz brings a twofold benefit. On the one hand, a free design of complex geometric shapes can also solve difficult tasks. On the other hand, a complete lack of burrs prevents the risk of serious defects. 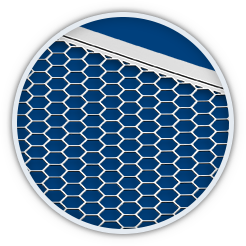 ventilation grilles, cable runs, components for radar equipment and communication units.